While opioid use continues driving a severe drug overdose crisis in the U.S., new evidence suggests that opioid use may also be driving rates of amnesia and memory loss. When abused or used long-term, opioids can cause lasting damage to the brain and memory due to the way these drugs slow respiration and blood flow, and interact with brain chemicals involved with memory processing and formation. The best way to avoid amnesia and memory loss caused by opioid use is to use these drugs short-term and exactly as prescribed, or seek help for opioid dependence in the form of a safe, professional detox treatment. Are you or a loved one using opioids? Here’s more about the link between memory loss, opioid use, and fentanyl overdose, and what you can do to get help for amnesia and opioid addiction. Why are Opioids Causing Memory Loss? Long-term opioid use and opioid overdose can cause memory loss. Between 2012 and 2016 in Massachusetts, there were 14 cases of sudden onset amnesia. All but one person tested positive for opioids, or had a history of opioid use in their medical history. So what’s the link between opioids and memory loss, and how can opioid use lead to the onset of amnesia? Opioids are used to treat moderate to severe pain such as that caused by surgery, injury, and some cancer treatments. Opioids work by binding to opioid receptors in the brain that reduce the sensation of pain. But at the same time, opioids work on other brain chemicals involved in memory and cognition. Long-term opioid use can lead to memory loss, as can drug overdose. Fentanyl overdose is also strongly linked to memory loss since this drug is up to 100 times more potent than morphine, and often works more quickly to stop respiration and blood flow to the brain. Painkillers are usually only prescribed for a short-term basis due to the way these drugs hijack the brain and quickly lead to tolerance, dependence, and addiction. Heroin is up to several times more potent than painkillers, while synthetic opioids like fentanyl and carfentanil can be hundreds or thousands times stronger than heroin. Opioid abuse and long-term use of opioids can damage a part of the brain called the cingulate cortex, which is responsible for learning, memory, decision-making, impulse control, and the formation and processing of emotions. Opioid abuse can lead to imbalances in the brain chemical norepinephrine, and interrupt the brain’s memory circuit to cause problems with processing, remembering, and retaining information. Those who struggle with opioid dependence and addiction may experience great difficulty with making good decisions, and with performing tasks that require sound logical reasoning. Opioid abuse can also interfere with the ability to inhibit inappropriate behaviors due to the way these drugs affect emotion control and processing. Memory, attention, and the speed of information processing are also highly affected by opioid abuse. Opioid use can interfere with both your short- and long-term memory, especially when you use these drugs for an extended period of time. But overcoming opioid dependence and making a series of healthy lifestyle changes may help you restore some or all levels of cognitive function. Opioid dependence can be safely treated using a medical opioid detox, which involves the use of medications that help relieve drug cravings and withdrawal symptoms. Medical detox treatments are overseen by nurses and doctors who monitor your recovery 24/7 to lower your risk for complications. Opioids depress the central nervous system to slow your breathing and heart rate. Taking too-high doses of opioids can slow respiration and heart rate to the point it prevents the needed amount of oxygen and blood from reaching the brain — increasing the risk for hypoxic brain damage. Symptoms of brain hypoxia range from mild to severe, and may include temporary memory loss, problems with attention span and decision-making, as well as seizure, coma, and brain death. An opioid drug overdose can cause the central nervous system to become overly depressed, which leads to stopped breathing and slowed blood flow and circulation — including to the sections of your brain responsible for memory. People revived from a drug overdose may suffer memory loss after experiencing lack of blood flow and oxygen to the brain while unconscious. The longer a person remains unconscious during a drug overdose, the higher their risk for memory loss and brain damage. Memory loss and permanent brain injuries can take place within minutes or seconds during a drug overdose, depending on factors such as the amount and type of opioid being used. If you are experiencing or witnessing a drug overdose, call 911 or emergency services immediately and tell dispatch that opioids are involved so the medical team can bring naloxone. The more quickly you or your loved one is revived from an overdose, the lower the likelihood of memory loss and severe brain damage. Though opioid use in general is linked to memory loss, lots of existing evidence reveals that fentanyl use is strongly associated with amnesia. A 1989 study conducted on the effects of intravenous fentanyl use found that people who received between 0.10 and 0.13 mg of the drug experienced adequate amnesia compared to the insufficient amnesia experienced by those who used only 0.07 mg. A 1994 study found that those who used high amounts of fentanyl tended to experience a performance decline of between 15 and 30% when tested for verbal skills and learning, and recalling words and pictures. Fentanyl use and overdose rates in the U.S. have been growing at exceptionally fast rates in recent years. Fentanyl now causes more overdose deaths than any other drug and was linked to over 20,000 fatalities in 2016. An estimated 46% of opioid overdose deaths in 2016 involved fentanyl and other synthetic opioids, while only 40% of opioid deaths involved prescription painkillers like oxycodone. Fentanyl is lower in cost than most other street drugs, and can be purchased from China for just a few thousand dollars per kilogram. Drug traffickers and dealers will often buy fentanyl at low prices and mix or cut the drug into heroin, counterfeit painkillers, methamphetamine, cocaine, and other substances. Many times, drug users are unaware their drugs contain fentanyl, and end up suffering accidental overdoses. Researchers say fentanyl can lead to worsened memory loss and amnesia when used with other potent substances like cocaine. Can Memory Impairment be Treated? Memory impairment caused by drug abuse can sometimes be reversed after a person stops using opioids, though this isn’t always possible in every case. The key to treating memory impairment is identifying the root cause of the impairment, and undergoing therapy to treat the root cause. 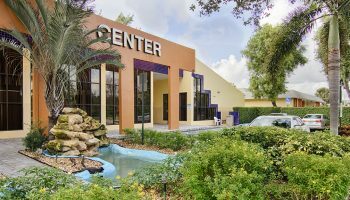 Many addiction treatment centers will customize your treatment plan based on your physical, emotional, and cognitive recovery needs — including your need to overcome memory loss and amnesia. Memory impairment caused by drug abuse can be safely and effectively treated using drug detox and therapies that focus on strengthening your cognitive function and that help you overcome the emotional effects of amnesia. 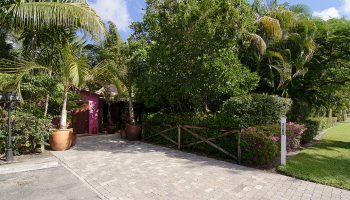 You may also receive therapies that help you identify and understand the root causes of your addiction so you no longer need drugs to get through day-to-day life. Call Detox.com now to find opioid detox centers near you! Evidence-based therapies like drug detox, exercise therapy, and nutrition therapy help you overcome opioid dependence by pushing toxins from your body in the form of sweat and waste. These therapies also help you achieve improved physical, cognitive, and emotional health so you can get closer to overcoming memory loss. For instance, exercise improves blood flow and circulation to the brain to help repair brain cells affected by opioid use, while nutrition therapy introduces you to healthy foods packed with vitamins and antioxidants that lend to improved brain function. 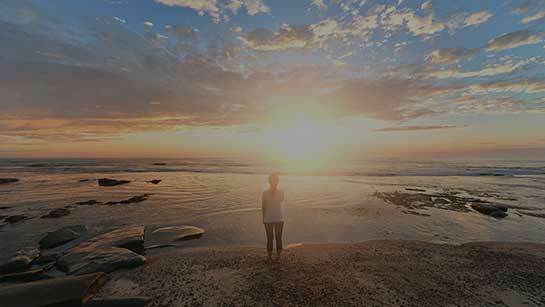 Memory loss and amnesia may sometimes also be caused by depression, bipolar disorder, and schizophrenia. If mental health disorders such as these are found to be the root cause of amnesia, those who suffer from opioid addiction and mental illness may also receive dual diagnosis treatment to overcome all three disorders. Pharmacotherapy may be used to treat symptoms of mental illness, as well as any ongoing psychological opioid withdrawal symptoms such as anxiety and depression. Friends and family can also play an important role in your recovery from both addiction and amnesia, since these individuals may be able to fill in blanks surrounding a few of your missing memories. Your loved ones can also support you through recovery and provide you with a healthy environment in which you can speak freely and adapt to an addiction-free lifestyle. Family therapy may be included in your addiction treatment plan to help you and your loved ones repair family dynamics and relationships that may have been suffered on behalf of amnesia and/or drug abuse. Memory impairment caused by opioid use or fentanyl overdose can be safely treated using a combination of therapies offered at many addiction treatment centers. However, amnesia can prolong the addiction recovery process and make it more challenging for patients to learn from their mistakes, acquire new skills, and establish new daily routines. Those suffering from short-term memory loss may have problems retaining newly learned information that is vital to helping them overcome negative thoughts and behaviors driving their opioid addiction. Inpatient treatment programs that last a minimum of 90 days can benefit those who need help recovering from both amnesia and addiction. 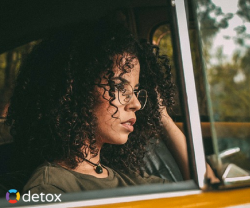 Inpatient detox centers can offer you daily structure and a safe, controlled medical environment without negative distractions or access to opioids and illicit substances. The intensive care offered in an inpatient setting can lend to a full, successful recovery from addiction, amnesia, and any other co-occurring disorders you may have. Inpatient programs can help you adjust to a healthier lifestyle you can maintain indefinitely after overcoming opioid addiction and amnesia. Programs that last 90 days or longer often allow enough time in which to fully recover from opioid dependence and addiction, as well as amnesia. Long-term programs that last between 120 and 180 days are available for those who need more time in which to recover from any of these conditions, along with post-acute withdrawal symptoms common with opioid dependence. If amnesia symptoms continue to linger past the length of the treatment program, aftercare and extended care programs are available to offer ongoing therapy, education, and support. If you or a loved one is suffering from opioid dependence, getting help today can greatly lower your risk for memory loss, drug overdose, and other side effects that can stem from opioid use. If you’ve been using heroin, counterfeit painkillers, or other illicit substances like cocaine, understand that getting help today can help you avoid a fentanyl overdose, which can lead to amnesia, coma, and/or death. Opioid dependence can be safely and comfortably treated using a medical detox or medication-assisted treatment — both of which can relieve opioid withdrawal symptoms so you don’t have to suffer pain and discomfort. These treatments involve the use of medications such as methadone, buprenorphine, and naltrexone to help you taper off opioids without experiencing drug cravings, bone aches, abdominal pain, and other symptoms. Do not try quitting opioids at home on your own cold turkey or without medical assistance, since doing so can put you at risk for complications such as dehydration, relapse, and overdose. Use our drug detox center directory to locate nearby treatment centers that can help you or a loved one safely fight opioid dependence. Ask about available detox treatments and therapies, and about discounts for which you might qualify based on income, special needs, and other factors. Alternately, call our 24/7 confidential helpline at 800-483-2193 to discuss all your available treatment options with an experienced addiction counselor. 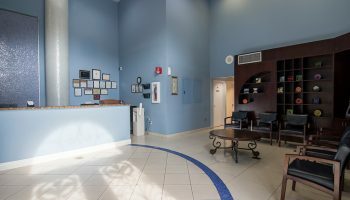 Detox.com will answer all your questions about treatments and detox centers, and perform a free insurance benefits check. We’re devoted to helping you or your loved one experience a safe, healthy recovery from opioid dependence and addiction.